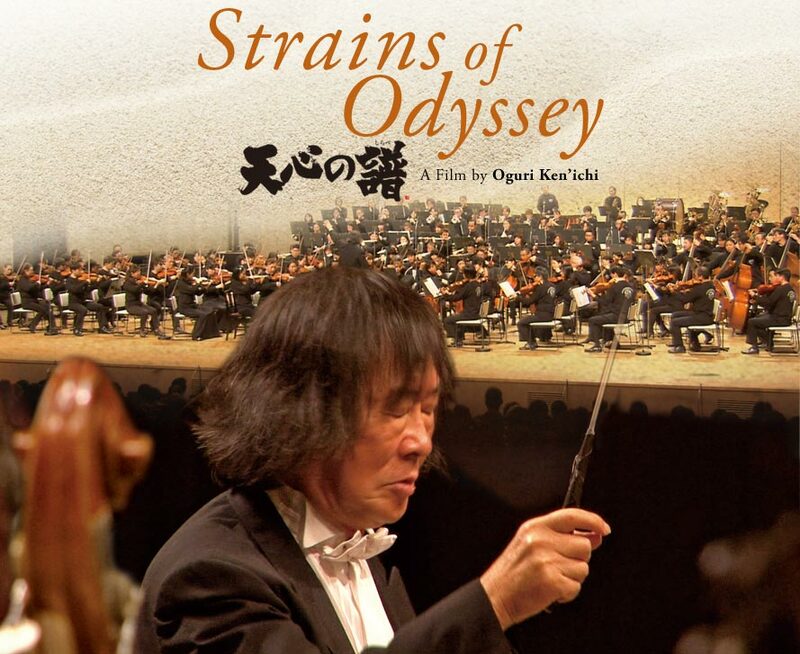 In 2010, when the Japanese conductor Kobayashi Ken-ichiro turned 70, he and his “Koba Ken and Friends Orchestra” decided to invite 31 musicians with a range of disabilities to stage a concert together. Among those invited was Taguchi Makiko, who has autism and is intellectually disabled. 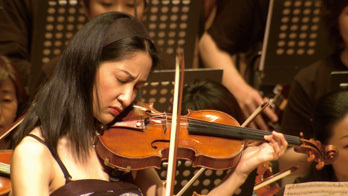 Makiko began playing the violin as a little girl, inspired by CD violin recordings. Performing in this concert was an opportunity of a lifetime for her as she would be in the company of world-class violinists such as Sezaki Asuka, Kawabata Narimichi, Abe Shinya and the comic illustrator and musician, Ikeda Riyoko. 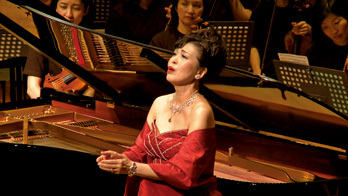 The concert was borne from Kobayashi’s wish to see musicians performing their very best, regardless of disabilities. The six months of rehearsals leading up to the performance was filled with precious moments of the musicians and the conductor inspiring each other, and the concert, performed by “the most unique orchestra in the world” left its joyous mark on everyone involved. Filming the entire proceedings were the 9 members of the “Believe crew,” all with intellectual disabilities, who had first come together to film the 2005 Nagano Special Winter Olympics. On March 11th, 2011, the great earthquake and tsunami assaulted Japan’s east coast. 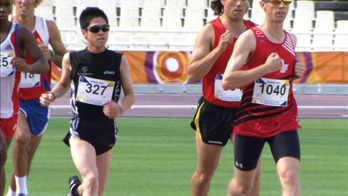 In June, 2011, as Greece was engulfed by economic crisis, the World Summer Special Olympics were held in Athens. 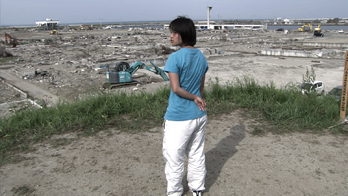 Among the athletes were two who had survived Japan’s catastrophe. Both Obara Aimi and Tanahashi Naoya had initially abandoned the Summer Olympics from the shock of the tsunami, but responding to the Greek audience applause, they achieved their mission to compete with confidence. 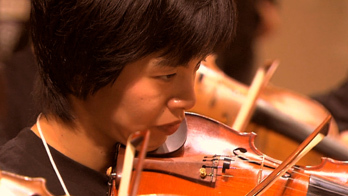 In the fall of 2011, the conductor Kobayashi held a special class for the students of Toyoma Middle School, who had lost their beloved school along with their musical instruments to the tsunami. While improvising at the piano, Kobayashi recalled his own experience surviving the firebombs of WWII and Beethoven’s struggles to compose his masterpieces, to passionately plead the power of life to the students. *I would like to bring special attention to the fact that the intellectually disabled Believe Crew took part in filming every scene in the film and nearly half of the images are theirs. Born in Iwaki,Fukushima. In 1974, Kobayashi won the 1st prize and the special award at the International Conductors Competition on Hungarian television. He has been resident conductor of the Tokyo Metropolitan Symphony Orchestra and of the Kyoto Symphony Orchestra. With the Japan Philharmonic Orchestra . In Europe, He served as principal conductor of the Hungarian State Symphony (now the Hungarian National Philharmonic) from 1987 to 1997, and is now conductor laureate of the orchestra. He was the first Asian conductor to conduct the Czech Philharmonic at the Prague Spring International Music Festival, in 2002. He has since held a regular guest conductorship with the Czech Philharmonic. He was one of three conductors who primarily led the orchestra after the sudden resignation of Gerd Albrecht from the chief conductorship orchestra in 1996 and before the advent of Vladimir Ashkenazy in 1998. In 2006, he became vaste dirigent ('permanent conductor') of Het Gelders Orkest of Arnhem, Netherlands. 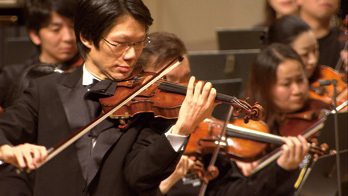 His compositions include his Passacaglia for orchestra, in honour of the 400th anniversary of relations between Japan and the Netherlands in the year 2000. 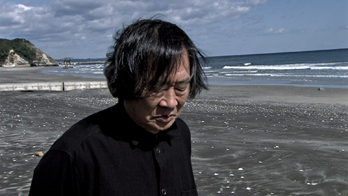 Kobayashi directed the premiere with the Netherlands Philharmonic Orchestra in 1999. He received the Liszt Memorial Decoration (1986), the Hungarian Order of Culture (1990), and the Middle Cross with the Star of the Order of the Republic of Hungary decoration (the highest civilian honour) from the Hungarian government in 1994. Since She encountered the Special Olympics in 1991, her life has been greatly enriched by interacting with people with intellectual disabilities. Wanting to spread the ideals of Special Olympics, which support their independence and social engagement through sports. She established Special Olympics Nippon in 1994. Prodaction：Tenshin no shirabe Film Committee／Directors System Co.,LTD.